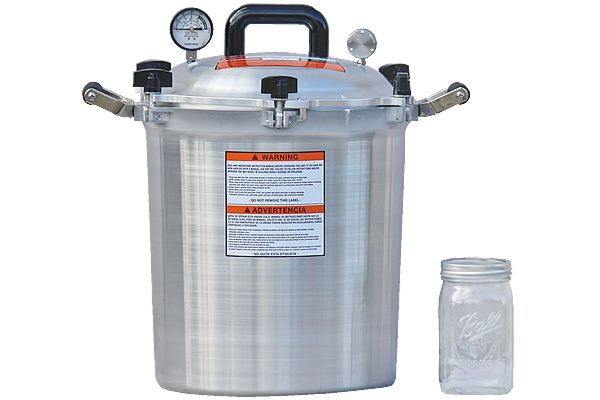 Our 30-Quart All American Pressure Canner is perfect for canning your entire harvest! Pressure canning is a much faster method than water bath canning, which greatly reduces the time needed to finish all your canning! This sturdy canner is made from heavy-duty hand-cast aluminum with doubly-thick edges, which provides for, fast, even heating. A key feature of this canner is its exclusive metal-to-metal seal, which eliminates the need to replace a broken or worn gasket. This seal is secured by positive-action clamping wing nuts, which are easy to open and close. It also incorporates key safety features, which include two automatic vents, a safety control valve, an overpressure plug and a stay-cool bakelite handle. Finding just-the-right pressure is easy with its geared steam gauge and 3-setting pressure regulator weight (5, 10, 15 psi). This canner is an amazing addition to your kitchen! 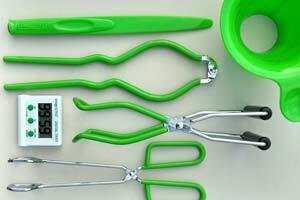 We also offer a canning kit with the supplies you need to start canning. 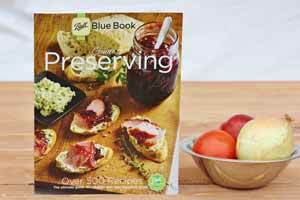 Note: This pressure canner includes an instruction manual and two cooking/canning racks. Interested in a pressure canner with a gasket? Click here!